1.Chop peaches, and cut strawberries into halves. 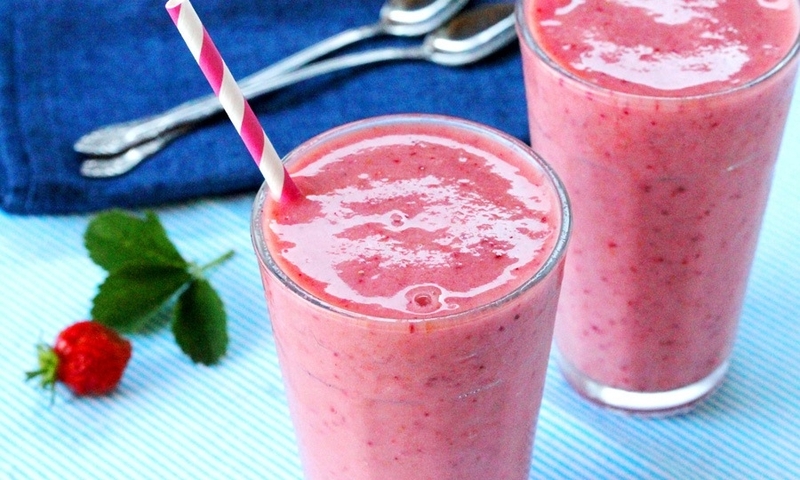 Next, in a blender, combine peaches, blueberries, strawberries, raspberries milk and yogurt. Cover and blend until smooth. Gradually add ice through the hole in the lid, blending until almost smooth. If desired, garnish each serving with fresh fruit. Makes 4 cups.